Built with low power broadcaster in mind. Power rating of 500 watts per bay; up to 3 kW for 6 bays. Power divider required for 3 bays or more. Field Tunable. From 88 to 108 MHz under 1.3:1 VSWR. Center of Tuning. Ranges under 1.1:1 VSWR. Omnidirectional or Directional Patterns. There are many standard patterns available and can provide patterns for a customer's specific coverage area. Rugged Construction. Each bay is constructed with high grade stainless steel for excellent corrosion resistance and good mechanical characteristics. Radomes or Electrical Deicers (Optional). Available with either fiberglass radomes or deicers for areas with heavy icing / snow conditions. Standard Mounting Brackets. Fits 1" to 4" Tower Leg or Pipe. Warranty. Limited 2-year warranty on defects and workmanship to the original purchaser. Durable corrosion resistant construction, fabricated from rugged heavy wall copper and naval brass. All joints are TIG welded. Each bay is rated at 3 Kw, with a maximum of 15 Kw for five bays or more. Pressurized and grounded, the entire antenna system is presssurized to the feed point of each bay and each bay is DC grounded, thus eliminating the need to purchase a shorting stub. Beam tilt and/or null fill, custom vertical patterns, center fed arrays(even number of bays only), electrical deicers for heavy icing conditions, custom directional antenna patterns. (Directional patterns based on the customer's mounting structure are available to meet FCC requirements). A 2 year limited warranty on defects in material and workmanship to the original purchaser. Durable corrosion resistant construction, fabricated from rugged heavy wall copper and naval brass. All joints are TIG welded. Each bay is rated at 31.0 Kw, with a maximum of 40 Kw for four bays or more. Pressurized and grounded, the entire antenna system is presssurized to the feed point of each bay and each bay is DC grounded, thus eliminating the need to purchase a shorting stub. The MP antenna is the cheaper antenna in the whole range of circular polarization antennas, but the manufacturing quality is exactly the same as the other. 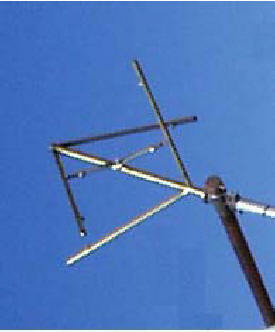 Thousands of MP have been installed from all over the world, so this is a sign of quality of this antenna. The MP is designed to maintain a continuous power of 500W, and it is factory-adjusted at the frequency required by the customer (88 ~ 108MHz). The SGP antenna is designed to maintain a continuous power of 4000W. 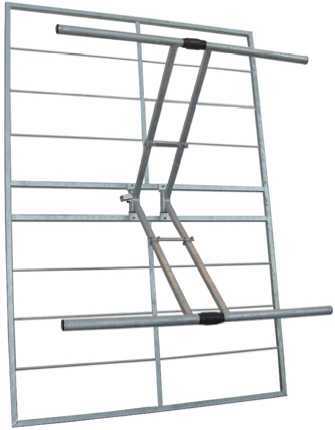 This antenna is specially recommended for radio stations that need a cost-effective and high-efficiency solution. It is made of stainless steel, so it can work in extremely hard environmental conditions without changes in its technical features. 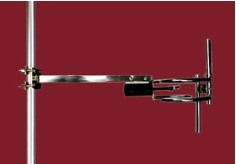 The inner part of the SGP is made of silver-plated brass. 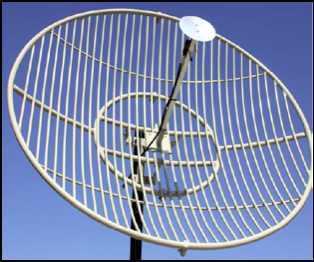 The antenna is supplied (factory-adjusted) in the frequency required by the customer (87.5 ~ 108MHz). Anyway, the frequency can be changed later under customer request. 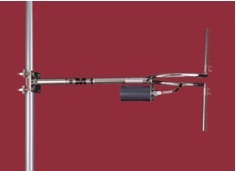 The VER-TB is a cost-effective vertical polarization antenna ideal to be used in medium power radio stations. The input connector is EIA 7/8&rdquo; type and it is designed to maintain a continuous power of 4000W. The operating frequency is factory-adjusted at the frequency required by the customer, but it can be changed later under customer request. It is made of stainless steel, so it can work in extremely hard environmental conditions without changes in its technical features. 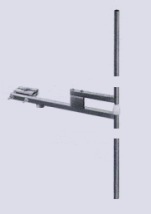 It is an ideal solution as a second antenna and security system antenna. The YAV 3 DIR is a three-element antenna that is ideal to be individually used in stereo FM systems. It is made of stainless steel and designed to work up to 4KW power. It includes DC-ground lightning protection. The input connector is EIA 7/8 type. The YAV 3 DIR (vertical polarization) provides high-directivity, big bandwidth and stable radio-electric field. Furthermore, it is able to work in extremely hard environmental conditions without changes in its technical features. The YAV 5 DIR is a five-element antenna with the same characteristics than the YAV 3 DIR, but with higher gain. It is designed to work with up to 4KW power and the input connector is EIA 7/8 type. The YAV 5 DIR is an ideal low-cost solution for radio stations that need significant signal concentration. 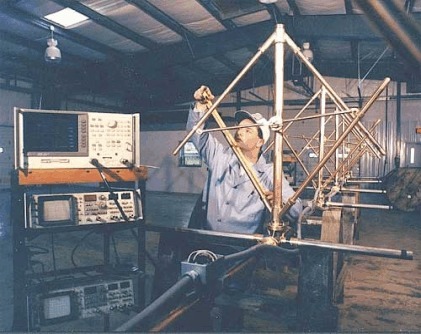 Circularly polarized FM broadcast antenna, broad band from 88-108 MHz. 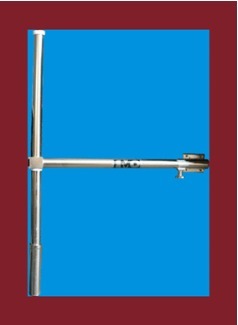 Manufactured from stainless steel and welded, this antenna performs well where circular broadcast coverage is required. Since it is broad band, it is ideal for multi channel input into a single antenna array. When mounted in an array of 2 or more antennas, VSWR is less than 1.25:1 across the band. Each antenna is rated at 2kW of input power, with higher input power available upon request. Frequency Range: 88-108 MHz, Input connector: N female or 7/16” female. VSWR: <1.25 in an array across 88-108 MHz, Gain: -1.5 dBd single bay, Polarization: Elliptical / Circular, Impedance: 50 Ω, Max. input power: 2kW per antenna. The PAFM-SDP is made of Hot-dip galvanized steel and the internal material is made up of machined brass and stainless steel. Antenna and radiating elements are DC grounded for lightening protection. 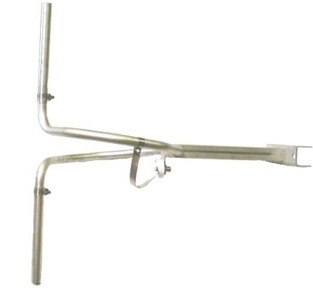 HDG clamps are included for attachment to customer supplied mast of any OD. Antenna design and internal feel ensure reliable operation under extreme icing. Frequency Range: 88-108 MHz, Input connector: N female or 7/16” female. VSWR: <1.20, Gain: 7.5 dBd, Polarization: Horizontal or Vertical, Impedance: 50 Ω, Max. input power: 3kW, -3dB HPBW (E-Plane) 73 degrees, -3dB HPBW (H-Plane) 58 degrees. The PAFM-BDP is made of Hot-dip galvanized steel and the internal material is made up of machined brass and stainless steel. Antenna and radiating elements are DC grounded for lightening protection. 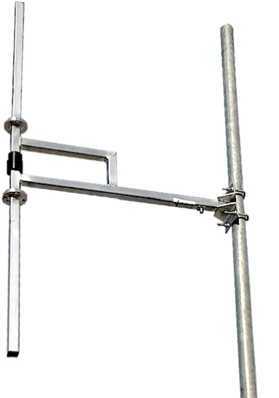 HDG clamps are included for attachment to customer supplied mast of any OD. 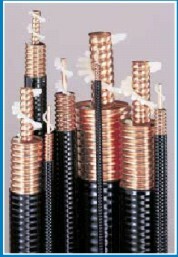 Antenna design and internal feel ensure reliable operation under extreme icing. Frequency Range: 88-108 MHz, Input connector: N female or 7/16” female. VSWR: <1.15, Gain: 7.0 dBd, Polarization: Horizontal or Vertical, Impedance: 50 Ω, Max. input power: 2kW, -3dB HPBW (E-Plane) 80 degrees, -3dB HPBW (H-Plane) 56 degrees. 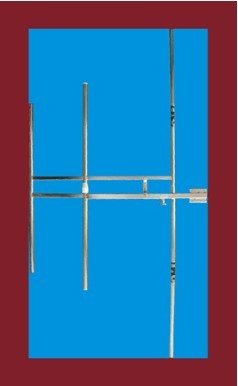 Vertically polarized FM dipole manufactured out of either aluminum or stainless steel. The dipole can be tuned for broadband service with a VSWR of 1.35:1, or frequency tuned on channel with a VSWR of less than 1.05: 1. The antenna has removable elements for compact shipping. Frequency Range: 88-108 MHz, Input connector: N female or 7/16” female. VSWR: <1.35 across band or <1.05 frequency tuned, Gain: 2.0 dBd, Polarization: Vertical, Impedance: 50 Ω, Max. input power: 5kW, -3dB HPBW (E-Plane) 220 degrees, -3dB HPBW (H-Plane) 70 degrees. 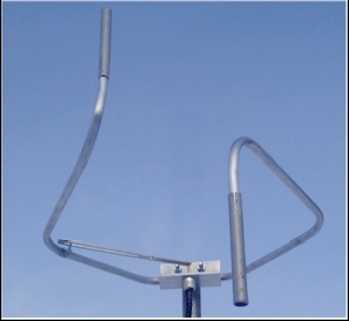 This broadband dipole antenna constructed of hot dipped galvanized steel is designed to last a long time in any weather condition. Because of its sturdy construction it can support up to 2 kw of input power with the appropriate connector. Since it has a wide angle of radiation it is suggested for omni-directional arrays. Due to the fact that is easily disassembled and reassembled, it can placed in a compact container making it very portable and inexpensive to ship. 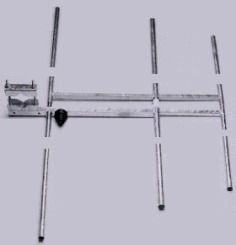 This very sturdy antenna was created to be used by itself or as an element of a system made up of various units. With a 120° radiation angle it has good gain on a wide angle of coverage. Therefore, it is ideal for medium and high power repeaters. It is furnished with a 7/8 EIA connector and has a maximum input power of 2 kw. Due to the fact that is easily disassembled and reassembled, it can placed in a compact container making it very portable and inexpensive to ship. 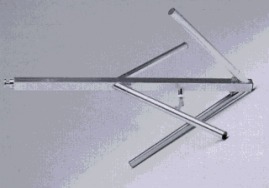 This antenna, built of stainless steel is designed for circular polarized transmission with medium and low power installations. It is factory tuned to the requested frequency, but it can be re-tuned in the field, with proper test equipment, thanks to the adjustable sliding stubs. 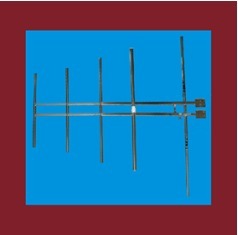 The low cost of this antenna makes it a good choice even for systems composed of many elements. 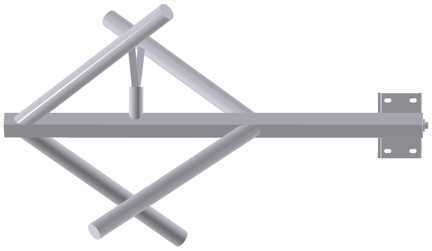 This antenna constructed completely of stainless steel offers the possibility of simultaneously utilizing vertical and horizontal polarization for better coverage especially in urban areas. In order to facilitate and decrease shipping costs this model is simple to break down and reassemble when ready to be installed. It is insulated with teflon and with the appropriate connector has a maximum input of 2 kW. This antenna constructed completely of stainless steel, offers the possibility of simultaneously utilizing vertical and horizontal polarization for better coverage especially in urban areas. In order to facilitate and decrease shipping costs this model is simple to break down and reassemble when ready to be installed. It is insulated with teflon, has a 7/8 connector and maximum input of 2 kW. 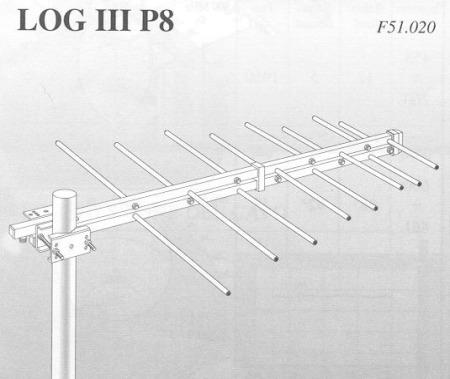 This antenna is specifically designed for use with STL systems. With a 100° radiation angle it has high gain on a wide angle of coverage. 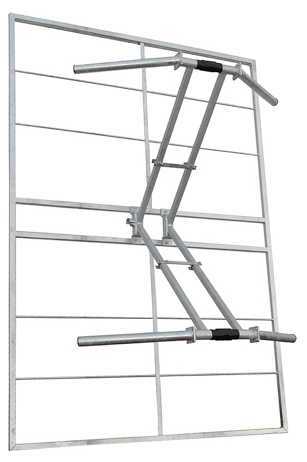 Constructed of aluminum, it is light and easy to install. Packing dimensions are also very minimal.